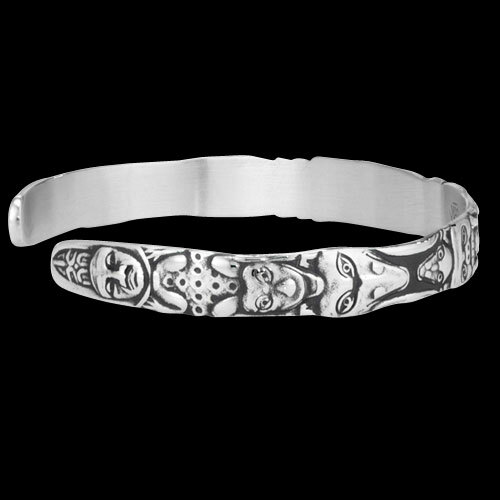 Sterling Silver Totem Bracelet by Metal Arts Group. Totem poles were originally a series of emblems representing a family clan. 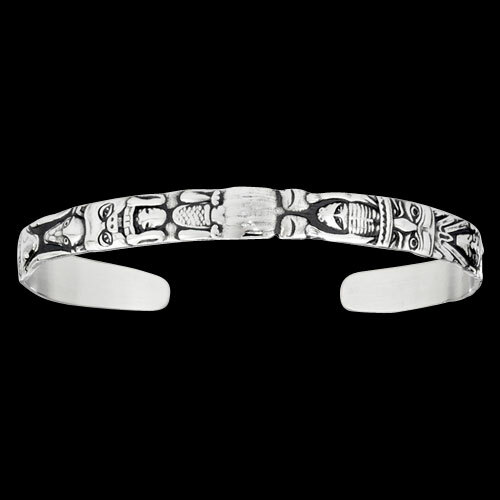 Various carvings were etched to signify their kinship system, adventures, rights, and accomplishments. Today totems still stand tall, representing the traditions and pride of Native cultures and events. 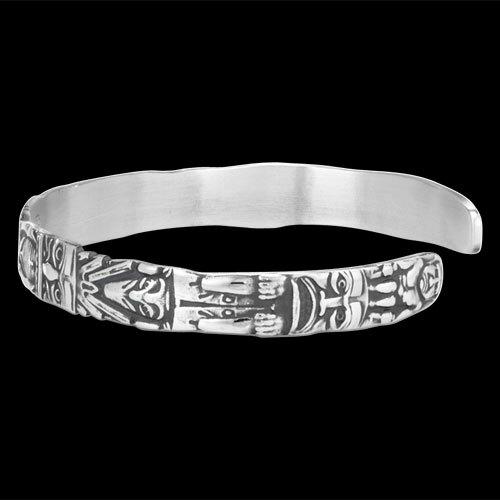 6.3 x 0.3 inch Sterling Silver Totem Bracelet by Joseph Mayer. Made in USA.